Prior to beginning new home projects that will raise your property value, be careful not to raise it too far above other homes on your block. Potential buyers who want to purchase higher priced homes will probably look in higher priced neighborhoods, so don’t price yourself out of the market. You should keep the value of your home within 15 to 20 percent of the surrounding homes in your neighborhood. Other updates to your home that could increase you’re property value include: two car garages, hot tub, fireplace, in-ground swimming pool, security system, sprinkler system, and vaulted or trey ceilings. You might want to think twice about the putting money into the following projects, as they probably won’t add any additional value to your home: above-ground pool, ceiling fans, light fixtures and garden pond. For a more complete list of what to do and not to do to increase your market value please contact me. • When you decide remodel, do it considering mass appeal. Buyers are usually attracted to mainstream, neutral design. • Don’t go too cheap when it comes to construction. Always use good durable, quality materials. • Don’t remodel one room in a completely different style from the rest of the house. You don't want one room to look like it doesn't belong. • Don’t spend $50,00 on a kitchen remodel in a $150,000 house. 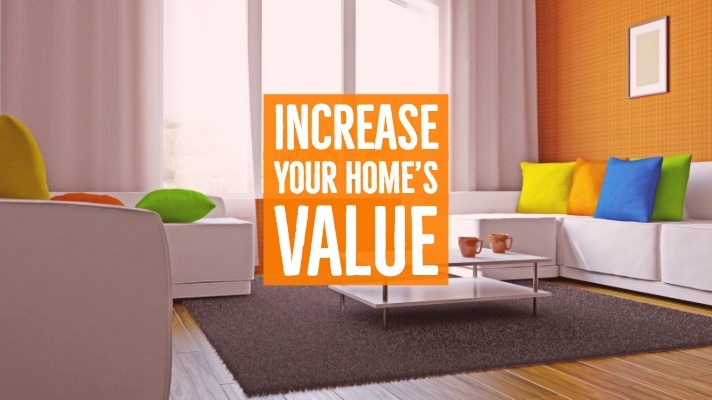 Keep the cost consistent with the total price of the home’s value. • Keep the exterior your home clean and tidy. Clean out your gutters, wash your windows, trim your hedges, cut and edge the lawn, and keep sidewalks and driveway clean. Plant some seasonal flowers in front. • According to a study by Money Magazine, landscaping is one of the best investments to improve your home's value. Great landscaping is estimated to have a recovery rate 100 to 200 percent higher than a kitchen or bathroom renovation.